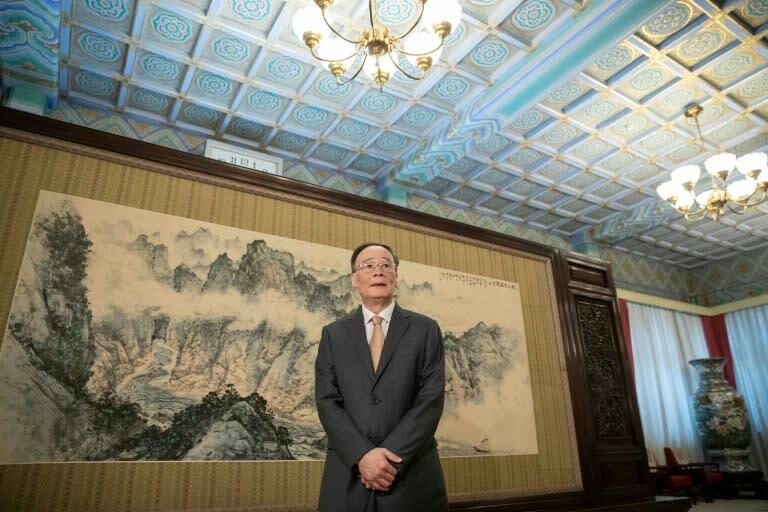 Chinese Vice President Wang Qishan on Monday became the most senior Beijing official to visit Israel in 18 years, as the two countries look to bolster their growing business ties. Wang headed to the Western Wall in Jerusalem, one of the most sacred sites in Judaism, after touching down at the start of his four-day trip, Israel's foreign ministry said. The visit to the Jewish state is the highest-level Chinese arrival since then president Jiang Zemin came in 2000, the office of Israeli Prime Minister Benjamin Netanyahu said. Wang was set to meet Netanyahu, who visited Beijing last year, later on Monday and will also host a meeting of a joint innovation commission with the Israeli leader. The Chinese official is due to travel to Ramallah on Tuesday to hold talks with Palestinian prime minister Rami Hamdallah, according to the official programme. China and Israel, a firm US ally, have stepped up trade and business ties in recent in years and launched free trade talks. But the growing Chinese involvement has also sparked scepticism, with a former intelligence head warning of dangers from Beijing's involvement in sectors vital to Israel's security. Israeli media reported that these concerns led to the finance ministry rejecting attempts by Chinese firms to take over two of the country's major pension funds.